All are invited to register and audition. Auditions must be recorded by your own means and submitted via MP3. Up to forty (40) people will be chosen and notified by October 20, 2018 to be confirmed for final audition rounds to take place at the Sheraton Universal in Burbank California on November 17, 2018, between 2pm ET – 9:30pm ET. 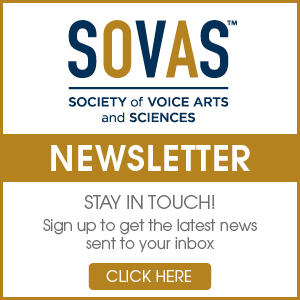 Also, on November 17, 2018, Six (6) finalists will be chosen to compete in a final live audition on the main stage during the finale of That’s Voiceover!™ Career Expo. Audition Spotlight™ “finalists” do not have to be ticket-holders to take part in, or to complete the audition process. However, auditioners without tickets,will not be admitted into the general conference activities. If available, tickets for the general conference may be purchased on site. One contestant will be selected the winner of a Paid Booking for CBS LA. 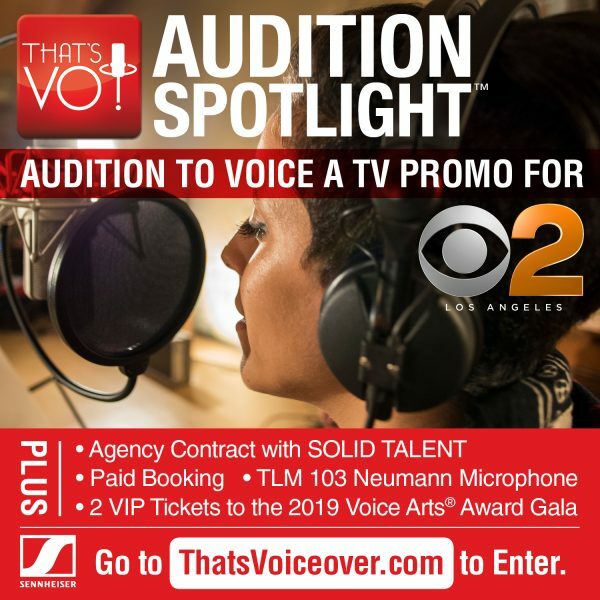 Talent Agency Representation with SOLID Talent of LA, a Sennheiser TLM 103 Studio Microphone and two VIP tickets to the 2019 Voice Arts® Awards Gala. And, of course, the white hot spotlight of success! *SOLID Talent is the agency of record for this job. If the winning candidate is already represented by a talent agent, the job will still be booked through SOLID Talent, unless other arrangements are agreed to, in writing, between the winning candidate and SOLID Talent. This audition is offered to anyone who believes he has the chops to win, and those who want to put themselves to the test to find out. The first audition is online, right here! Just see the link for rules below. 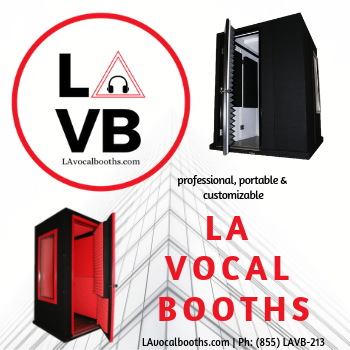 That’s Voiceover!™ Career Expo is where final auditions will take place on November 17, 2018 at Sheraton Universal in Burbank California. There is no fee to submit an audition nor to complete the audition process. But the winner will reap the benefit of a PAID union gig with CBS. Selected finalists must be present on site to complete the final phase of the audition process. Entries must be received by October 10, 2018 at 12 AM PT to be eligible for the Contest. Click here for the full official rules. Check out the previous winners! Download and record the script, making sure to say your full name and take number at the beginning of your audition. You may include 2 takes only.